Welcome back. Nearly two years ago, I reviewed a study that found chefs on television cooking shows either ignored food safety or demonstrated very limited positive behaviors. If viewers adopted the chefs’ practices, there could be a rash of foodborne illnesses (Careless Cooking). Bad as that is, the Berkeley Wellness Letter pointed me to a more recent food safety study that I find more personally alarming. 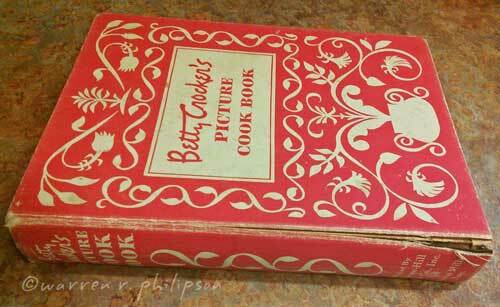 This one is about cookbook recipes. 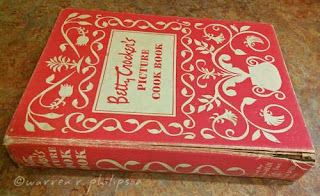 Though there’s no chance that I would watch a TV cooking show, I might buy a cookbook--oh, not for me; as a gift. Well, I might have if I hadn’t seen this study. gave me when I was in college? Researchers from North Carolina State University and the US Department of Agriculture reviewed 1,497 recipes from 29 cookbooks that were popular enough to be on the New York Times food and diet best sellers list in 2013 and 2014. Unlike the TV chef study, which flagged chefs’ behaviors against a checklist of 20 food safety practices, the cookbook study was much more selective. The researchers only considered recipes that contained raw animal ingredients (meat, poultry, seafood or eggs), whose dishes could effectively be measured with a digital thermometer. They evaluated the recipes for guidance related to (1) the endpoint temperatures of what’s being cooked and (2) avoiding cross-contamination, the potentially harmful effects of inadvertently transferring microorganisms from one substance or object to another (e.g., raw food to ready-to-eat food). Of the nearly 1,500 recipes, only 123 (8%) mentioned cooking the dish to a specific temperature. Of those, 89 (6%) gave accurate information regarding endpoint temperatures, while 34 (2%) gave temperatures too low to kill the most likely food pathogens. Guidance on avoiding cross contamination was largely absent from the recipes. For example, only 12 recommended washing hands after touching raw animal protein, and only 29 recommended that raw and cooked foods be kept separate by using different or clean cutting boards, utensils and dishes. 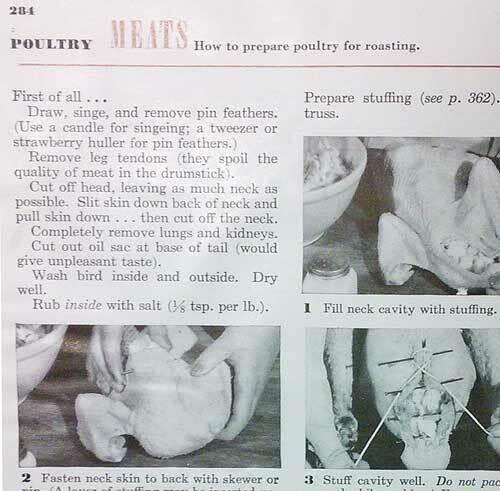 Worse, some recipes recommended that raw poultry be washed before cooking. That’s a no-no, since washing risks spreading harmful bacteria through splatter or aerosolization. and cut off the head. TV cooking shows forego the opportunity to demonstrate or discuss food safety; they fail to promote the idea that good food and safe food are inseparable. Cookbook authors have, but are failing to take advantage of, that same opportunity. Including food safety guidance in cookbooks could go a long way toward reducing the risk of foodborne illness, which affects about 1 in 6 Americans each year. Thanks for stopping by, and as I wrote in that earlier blog post, Bon appétit. University of California, Berkeley Wellness Letter, Nov 2017, “My cookbook made me sick.” pg 6.